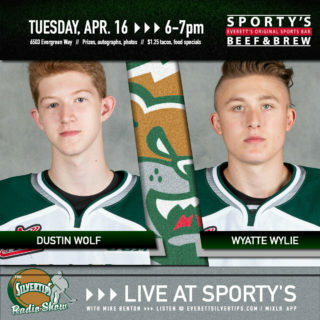 The Silvertips battle the Kamloops Blazers in the third matchup of the regular season … the Tips have won five consecutive meetings with Kamloops and earned a 6-1 win in the last meeting on Friday evening … the Tips have played Kamloops 63 times in franchise history with a record of 38-17-4-4 … they carry a record of 178-10-1-1 all-time in Kamloops and have won four consecutive road meetings … the Tips have won six consecutive road games. 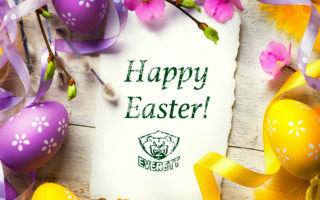 EVT 5 – SEA 1 (11-10-18): Connor Dewar scored twice and the Everett Silvertips pounded the first 18 shots on net to crush the Seattle Thunderbirds in a 5-1 victory on Saturday night before 5,089 fans at accesso ShoWare Center in WHL action. The Tips won their sixth straight road game, and eight of the last ten away from home ice, to maintain a three point lead for first place in the U.S. Division. 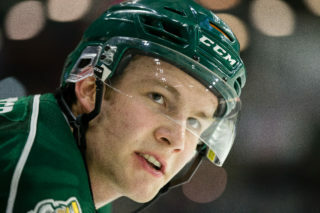 Dewar earned his 32nd multi point game of his career while the Silvertips scored four unanswered goals, at one point outshooting the Thunderbirds, 18-0 in the first period. ROAD WARRIORS: The Silvertips have won six consecutive games on the road … their last road swing was a season-long seven-game trip (5-2 record) … their 18 points on the road is most in the WHL (9-3-0-0). GONE NATIONAL: Head Coach Dennis Williams (Team Canada-Black) and Ronan Seeley (Team Canada-Red) are representing the Tips at the World U17 Hockey Challenge through this weekend in New Brunswick … Connor Dewar and Riley Sutter returned from Team WHL and the CIBC Canada Russia Series … Dewar had a pair of assists in two games and Sutter had one assist, while going 21-for-30 in face-offs. ROAD WARRIORS, PART II: Did you know? 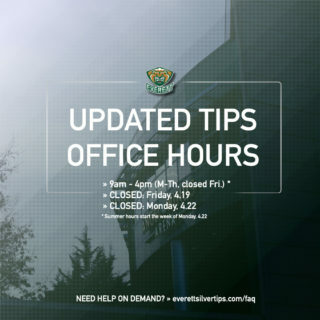 Over the course of three days, the Tips are covering nearly 1,100 miles of travel with games in Kamloops on Friday and Sunday, and a Saturday road game against the Seattle Thunderbirds – already guaranteed four points for the weekend with two wins, the Tips have gone 2-1-0 a total of 24 times in franchise history, 2-0-1, 10 times and 3-0-0, 3 times. 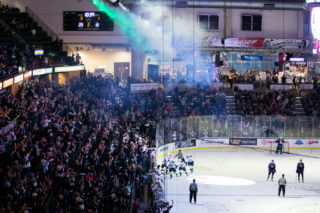 The Silvertips will make their home ice at A.O.T.W. Arena the host venue USA Hockey’s training camp for the upcoming 2019 IIHF World Junior Championships … Team USA will skate in downtown Everett between Dec. 14-18, showcasing a collection of the top end U.S. born players under 20 years of age … all practices (times TBA) will be open to the public.